I am a freelance project manager, data wrangler, and web media producer specializing in the support of independent artists, storytellers, and musicians. I'm usually quite informal when doing business, focusing more on being friendly and helpful than on being a power professional. Just think of me as your really smart friend. Do you need a book published? How about a a new CD or music video to forward your career? Need help organizing a concert, convention, or special event? Do you have an idea for some cool new merchandise that you'd like to make real? I've built a network of resources and experts, and I've managed scores of projects and hundreds of special events. Talk to me about your project. 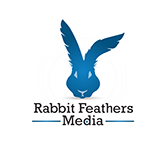 I run a small production company called Rabbit Feathers Media, where we shoot music videos, commercial documentaries, comedy and theatrical productions, unusual weddings, and other special events. I also assist on productions run by other companies, such as Zombie Orpheus Entertainment. (musical concerts, educational lectures, comedy improv) and we can stream HD video live to the internet, with animated titles and other motion graphics. We're also ready for highly mobile, run-and-gun video production, with hyper-fast setup times and enough gear to cover two locations at the same time. In-house, I've got three Lumix GH4 4K cameras, two DJI Ronin-M stabilizers, a few GoPro cameras, four Sennheiser G3 wireless lavalier mics, four Tascam on-talent micro-recorders, two R0DE NTG4+ shotgun mics with Sennheiser wireless transmitters, plus multi-track audio recorders, flat panel LED lights and a selection of stands, booms, backdrops, and other gear that I can bring to your location or set you up in my own modest, sound-treated studio. Your video can stream live directly to youtube or we can set up a membership website where only paying subscribers can view your content. After the event, I can also produce a DVD of your event for retail sale or as a commemorative gift to attendees. If you've got the budget, I can bring in professional operators to run the cameras, a dedicated engineer to run sound and music, a stage manager to keep the show running smoothly, and a crew of production assistants to handle the secondary details that are "incredibly important because they must be done right now" at live events. If, like most of my clients, you're on a tight budget, we can adapt to what you can afford. 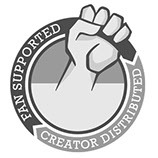 We can also discuss crowdfunding options, merchandise trades, or finding advertisers to sponsor your production. I’m really good at helping people motivate themselves, and perhaps my calling in life is to be an "artist prodder." I love to nurture and support creative people, inspiring them to find their joy and then find ways to share it with the world. My favorite form of success is helping an artist make a living at living her dreams. Call upon me and my years of experience in the entertainment industry for affordable one-on-one training and guidance. I will help you get on track, stay motivated, refine your art, manage your business details, and accelerate your career. I can help you raise funds for your next project or special event. I've managed a score of campaigns and collectively helped raise over a million dollars for my clients through crowdfunding. Contact me today, and schedule a consultation session. In the first session, we sit down over lunch or dinner and talk about the project, who you are, and what your ideas are. This gives us the groundwork we need to prepare for the second session, where we come up with an actual step-by-step plan and run some financial projections for your campaign, figuring out exactly how much you need to raise, what your reward levels should be, and plan out the major steps. The cost for the first session is, essentially, the cost of lunch or dinner. You buy or bring the food, and we'll discuss the project in detail while we eat and work out the basic structure for the campaign and my recommendations on how to proceed. I'll help you shape the basic structure of your reward tiers and stretch goals, and fill you in on all the gotchas and caveats I've encountered in the dozen campaigns I've worked on so far. Schedule about four hours of time for this session, because we'll cover a lot of ground. 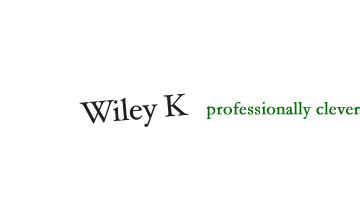 Please email kwiley (at) wileyk.com directly.